Enclosed in the box is an info card describing the products and the product ingredients. This month’s note had me blushing; it was hot! This whole body crème is for my body, hands, and face. It’s unscented, nut free, gluten free, vegan, and 100% eco-friendly. I applied the body crème to my skin, and the texture is creamy, rich, and non-greasy. There is no scent, but I did detect a faint smell that would be a combination of the oils and botanicals, hardly noticeable. I didn’t find this particular product on their website, so I took an estimated guess. This rose-infused bath oil has rose essential oil, grapeseed oil, argan oil, and passion flower oil. Once again this bath and body oil has the fragrance of flowers with rose being the most prominent, it seems the majority of the products in this box has a floral scent. Since I was giving my feet tender loving care, I massaged the oil onto my feet and applied my favorite fuzzy socks. OMG, this is the cutest bath bomb I have ever seen. The bath bomb is in the shape of lips, and the scent is “Coco Ma” which has “a citrus top of bergamot, and orange wrapped with lush jasmine and warmed with patchouli, vetiver, and vanilla.” The scent was divine and reminded me of roses. I don’t take baths, but I opted to use this in my foot bath. The bath bomb worked out fine except for the overflowing bubbles. I could feel my feet getting softer as my feet soaked in the tub. This product will be perfect for that individual who loves to indulge in a long hot soak in the tub. This bath bomb left my feet so smooth and soft, imagine what it would do when you soak your body in the tub. This shower and bath gel is creamy, has a nice lather and smells of rose and lavender which I love. Bath and Shower Gel – is paraben-free which helps leave your skin clean, fresh and film-free. This gel has a great lather, lower salt levels, extremely mild to both skin and eyes, and is biodegradable. Deionized Water is used to make this product, which is also known as demineralized water and has had its mineral ions removed. These ions may include cations from sodium, calcium, iron, copper, and anions such as chloride and bromide. Water is demineralized as a means of purification. Aloe Barbadensis Leaf Extract works to heal, protect and moisturize the skin. Chamomile Extract calming effect makes it an excellent additive when bathing or showering. This Bath and Shower Gel is also one of the favorite products in our line and a best seller. I received a small box with two chocolates, in the flavor “delicate lavender.” The chocolate has a rich, creamy center; it has a dark chocolate flavor with a familiar taste I couldn’t detect. The chocolate was enjoyable but not my favorite, I prefer milk chocolate or semi-sweet chocolate. The info card has lavender, vanilla bean dark chocolate as a part of the description. The dark chocolate flavor was intense, and that was the flavor I picked up the most. The chocolates were handcrafted in small batches using the finest ingredients with fair trade chocolate. I didn’t find this particular product on their website, so the value is an estimate. The Verdict: Another stellar box! ZaaBox knows how to pamper their subscribers and they delivered!! Plus, the steamy handwritten note from Mr.Strong had me blushing. I look forward to next month’s lovely, seductive note. The bath bomb that I used as a foot soak and the bath and body oil was my favorite items this month. I felt pampered, and I was able to give my feet the attention they needed. ZaaBox is still new to me, and I’m impressed by their mission to deliver luxury products that are all natural by black-owned business, which they succeed in doing. 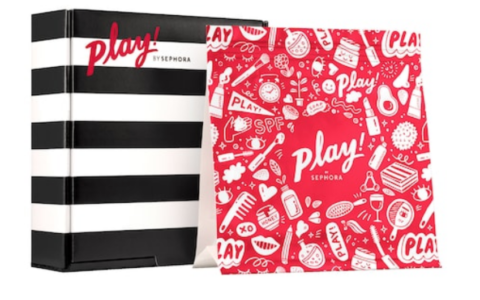 As indicated on their homepage, they promise to send five full-sized products, but this box and last month’s box included deluxe size products. For the price point, I would expect more full-sized items. Even though the products weren’t full size, the quality of the products are impressive, and sometimes the quality of the products curated in beauty/lifestyle boxes overrides the retail value of the box. Once you order you will receive your initial welcome box within 1 week and then your monthly recurring charge will occur on the 1st of the month every month until you decide to cancel. Value Breakdown: I estimate a total value of $40.84 and the box costs $39.95 after shipping. That means that each of the 5 items in the box has an average cost of $7.99. Check out all of our ZaaBox reviews and the Women Of Color Subscription Box Directory! What do you think of this month’s ZaaBox? How do subscribers rate ZaaBox? Do you subscribe to ZaaBox? Add your rating now! What did the note say? Last month’s had you blushing as well but you still revealed it to us readers. Wonderful review. I’m all for skincare boxes and am more than happy to see and support more businesses that highlight MBE companies, but this box needs to have more full sized products to justify the price point. Hopefully the next box will be a bit better. Aww c’mon Nich…let us see the note!